I’ve walked in and out of the same room maybe four times now, pressed up against every wall, tinkered with every switch. The Oldest House, headquarters of the Federal Bureau of Control, wraps around itself like a maze. There are no rules here, no laws of physics or Euclidean geometry to fall back on. Bodies float in the lobby. Hallways fold in on themselves. And I’ve found myself wandering in and out of Audio Testing Laboratory 2, the existence of which implies an Audio Control Laboratory 1—if only I could find it. Finally I give up though, leave the laboratory and head back to the lobby. Good thing, too. The various Remedy developers in the room laugh, and one says “Yeah, no secret in there.” I take him at his word, though some small part of me still thinks there must be an Audio Testing Laboratory 1, if I just looked hard enough. That second-guessing, that vague sense of unease? That’s what makes Control so fascinating, from the very first minute. 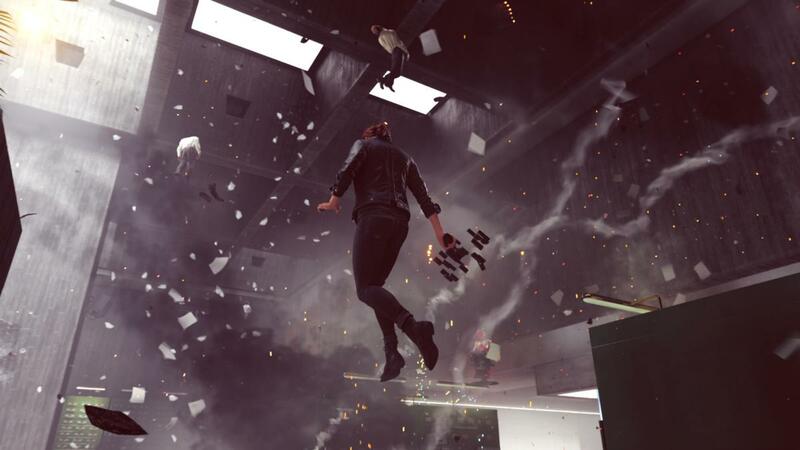 It’s been nearly a year since Remedy showed off Control for the first time, one of the few third-party games to show up during Sony’s E3 2018 press conference. We had the opportunity for our first hands-off and hands-on demo during last week’s Game Developers Conference though, and wow. Just wow. I don’t even know where to begin really, though it’s tempting to start with combat. It’s fantastic, to a degree Remedy hasn’t exhibited since Max Payne first adapted The Matrix’s bullet time into a video game. You play as Jesse Faden, Director of the Federal Bureau of Control—though at least in our demo, demigod would be a better job title description. You have a gun, sure. The gun morphs into different shapes, which is fun. It can be a semi-automatic pistol, or modded on-the-fly into a hard-hitting “Pierce” mode that can shoot through cover and enemies. The gun reloads automatically over time, another neat trait. But uh, who cares? Let’s put it this way: Jesse’s gun is the least threatening weapon at her disposal. She can pick up and throw benches at enemies, or leap into the air and crash down into them, or take over their minds and turn them to her side, or just punch an enemy so hard it goes flying down a hallway. After Alan Wake, Quantum Break’s flashy time-manipulating fights felt refreshing. Control goes even further. Jesse is unstoppable. Of course, we were playing a demo. The enemies we faced were weak Level 1 grunts for the most part, and Jesse an overpowered, late-game version of herself. Control won’t start out as such an over-the-top power fantasy, nor perhaps will it ever reach the levels of absurdity I saw last week. Still, the number of options you have at your disposal and the satisfaction of chaining together Jesse’s powers? That should stay intact, making Control one hell of an experience—ripping chunks of concrete out of the floor and walls to hurl at enemies, or sending multiple foes ragdolling into one another. So yeah, much praise will be heaped on Control’s combat. Even more praise will, I think, be leveled at Control’s story and setting though. It’s bizarre. As I said, you’re Jesse Faden, Director of the Bureau of Control. You’ve taken over the Bureau after its headquarters, The Oldest House, was invaded by the Hiss—a sort-of extradimensional presence, which possesses the Bureau’s human employees. You also find out the Bureau’s been researching the Astral Plane, an alternate dimension tied in some way to The Oldest House. And you find a bunch of weird artifacts, like an object that captivates the attention of everyone in the room with it—and which, after you interact with it, causes those poor souls’ heads to explode. Grisly. It’s nonsense, or at least it’s nonsense to try and put together without the context provided by the full game. But it’s nonsense that feels surprisingly realistic and grounded, thanks to Remedy’s world-building. The key is that The Old House is unsettling and off-kilter and even horrifying at times, but in a way that feels decidedly mundane. It’s a government operation gone horribly wrong. Imagine your local DMV. Now imagine your local DMV, but the bathroom door opens up into an alternate dimension full of nightmare creatures, the water fountain pumps out oil, and the radio is King Crimson songs—played backwards. Sure, it sounds even more hellish than usual, but if you never opened the bathroom door and you never touched the water fountain and you wore earplugs all day? The rest would appear normal. You could sit in one of those uncomfortable plastic chairs and wait for your number to be called all day long. That’s Control. It’s one part cosmic horror, one part conference room. On a grand scale the architecture is impossible, but each room is a tableau of ordinary office life, whiteboards and swivel chairs and trash cans. The technology is anachronistic, often more than 50 years old—apparently it’s less susceptible to Hiss manipulation. But aside from that, The Oldest House could be any brutalist government headquarters. And that’s what makes it intriguing from the moment you step inside. Quantum Break attempted a similar mix, blending mundane environments like the University with its time-travel tale. But Control’s Bureau is tailor-made to distract the player with small side-stories, oddities like the Acoustic Laboratory that are so intriguing you’re convinced there must be a secret to discover—or rather, so normal it feels like there must be a secret lying underneath, if you could just peel back the skin enough. That feeling made me want to explore every corner of every room I could enter, and even more the few in this demo that I couldn’t. With Alan Wake, Remedy told a great story through lackluster mechanics. With Quantum Break, interesting mechanics had a hard time propping up some middling storytelling. 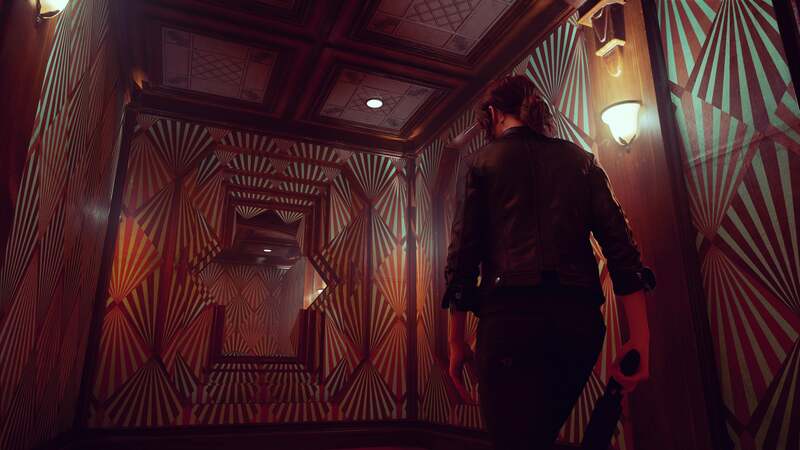 Control feels like Remedy’s finally found its stride on both sides again. One demo, and it’s already leaped to the top of my “Most Anticipated” list. Fighting feels fantastic, and what little we’ve seen of the story and world is already more interesting than entire 20-hour looter shooters (not naming names) I’ve played this year. 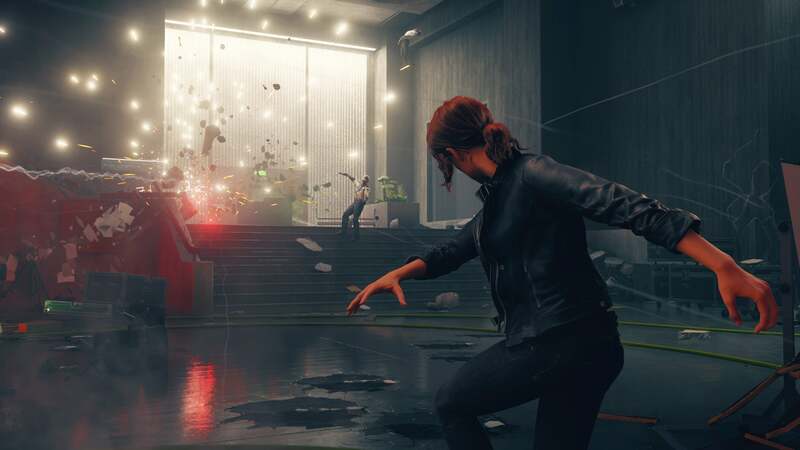 The bar’s low, but Remedy’s once again vaulted high above it. Control releases August 27, 2019. Now let’s hope I find Audio Testing Laboratory 1 someday, for my own sanity.